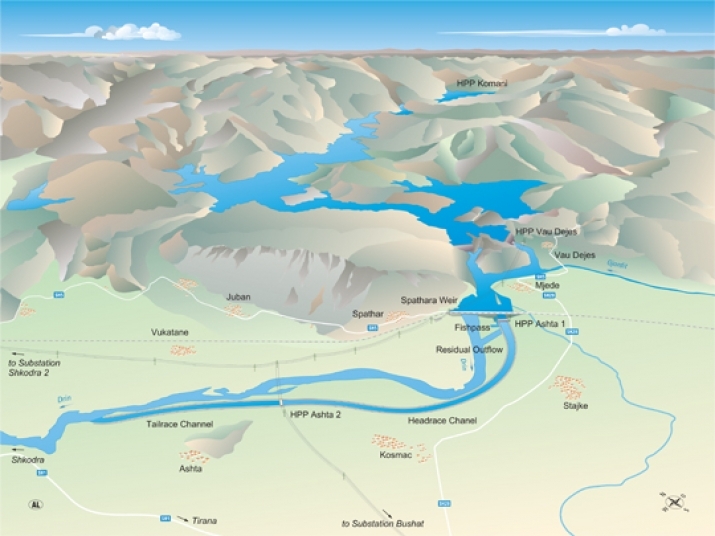 The Ashta hydropower plant is located in the north of Albania near Shkoder, the fourth largest city in the country. The Ashta power plant will be producing 240 million kilowatt-hours of electrical power. As many as 100,000 Albanian households will be supplied with electricity from renewable sources. 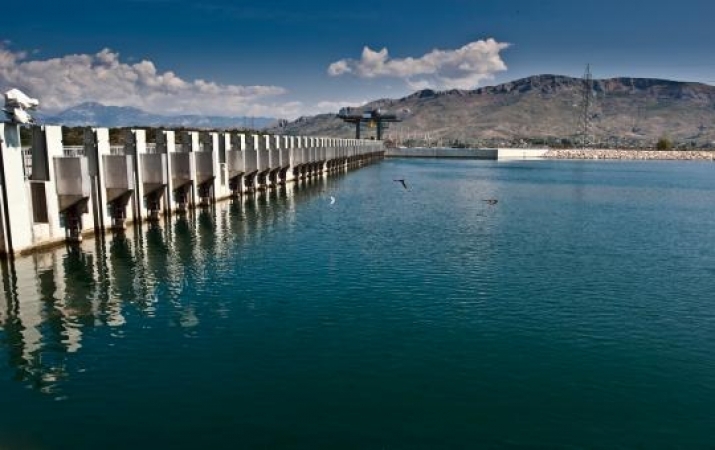 The plant is effectively split in two: Ashta 1 first generates electricity where, three decades earlier, the Spathara Reservoir with its effluent weir and several small irrigation plants for farming were erected. And then, at the end of a 5-km, low-lying bypass channel near the village of Ashta, electricity is generated once again, this time by Ashta 2. The combined capacity of both plants (Ashta 1 and Ashta 2) is 53 megawatts (MW). A special project company – Energji Ashta Shpk – was formed for the plant’s construction, operation and funding. The power plant improves security of supply in Albania and helps to reduce the country’s dependence on electricity imports. It has been planned in an environmentally compatible way and produces no emissions. 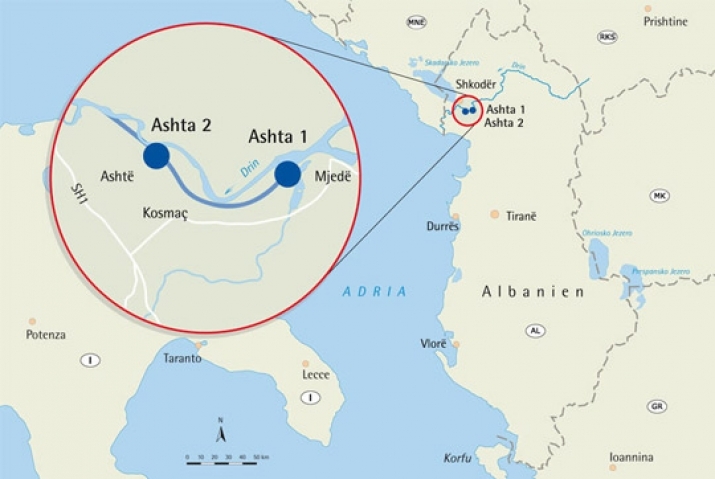 Once the 35-year concession period is over, the power plant will be transferred to the Republic of Albania.